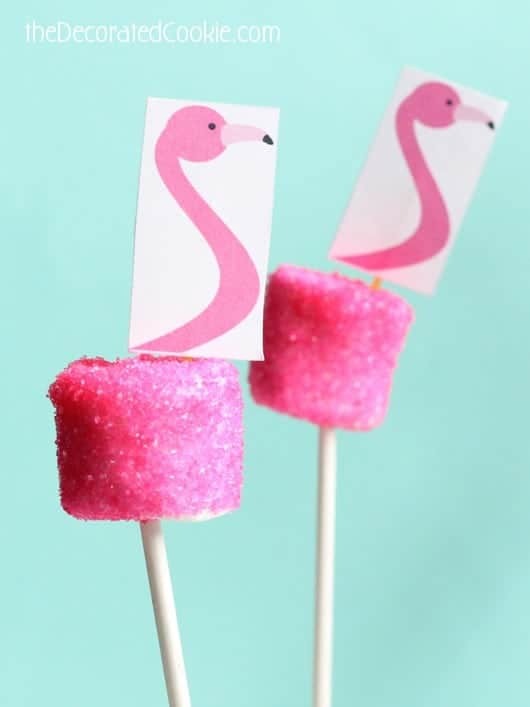 Flamingo party food idea: Make flamingo marshmallows with free printable. 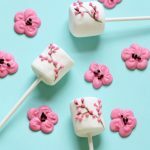 Why flamingo marshmallows? Are you hosting a flamingo party? Why are there not more flamingo parties? And other questions I ask. My two year old looooves the zoo. (As opposed to all those two year olds who can’t stand the place??) We live in Washington DC, and the National Zoo–which is free, by the way, with free parking for members–rocks so very much. Visits with my two year old are bizarrely more fruitful than any visit I had with my now-seven year old. And more fruitful than any visit I’ve had in the last 20-some years of living in DC. She just has this mystical zoo luck thing. On one trip, we were yards away from one of the famed pandas hamming it up for the audience, rolling around and eating eucalyptus. On another a gorilla came right up to the window to play. And on yet another, we spent about 20 minutes face to face looking into the eyes of an orangutan, just a glass pane between us and few other visitors competing for the moment. 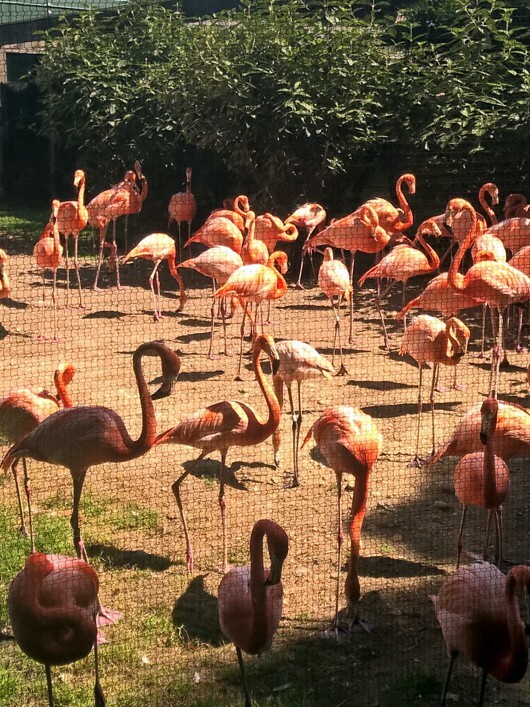 On our last trip, a flock of flamingos were hanging out in the front of their space. And then, of course, flamingo marshmallows. 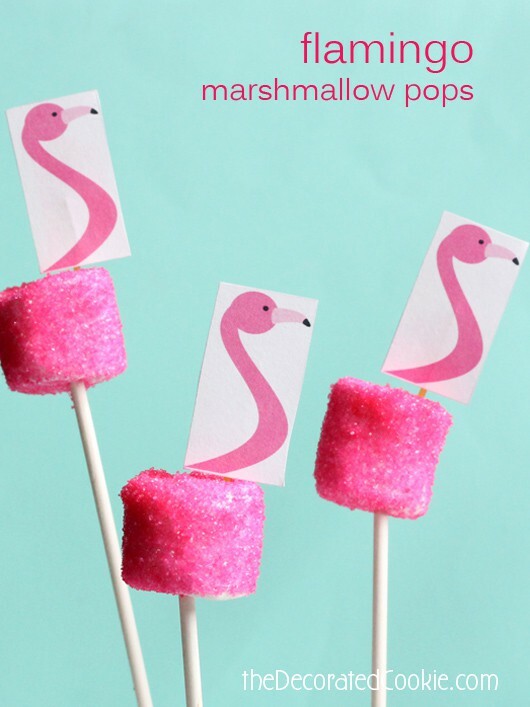 Which leads me to these easy-to-make flamingo marshmallows. 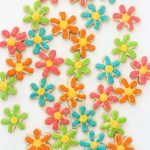 I toyed with crafting the terribly inconvenient necks out of fondant or candy, but that would make these mush-less-easy-to-make. And I’m a big fan of easy-to-make. So a printable solved the problem. 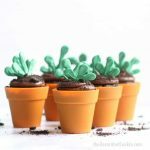 You don’t even need to use the printable for these. 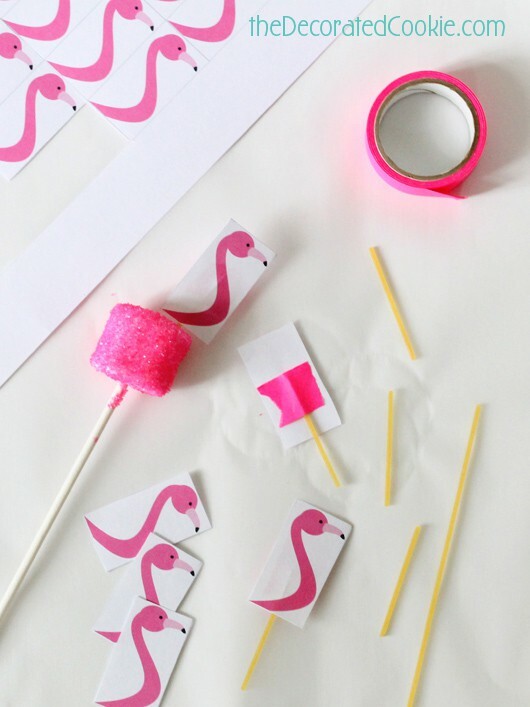 You can also just make your own flamingo heads from pink paper, and cut them out without the white background, too. 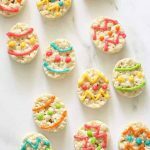 One thing to note, I use dried spaghetti to insert the printable instead of toothpicks, just in case someone forgets to pull their printable out of the marshmallow before eating. Not that dried spaghetti is a joy to consume, but I’m thinking safety. 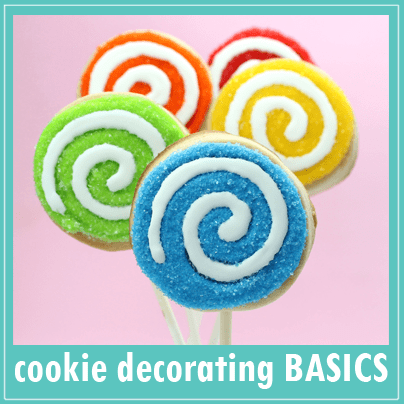 *Find lollipop sticks, sprinkles and the Styrofoam block in the craft store. 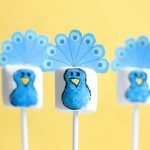 Skewer the marshmallows with lollipop sticks. Have a glass of water ready (small mason jars work well). Working with one marshmallow at a time, quickly dunk the marshmallow in the water, shake off the excess, hold the marshmallow over a bowl and coat with sprinkles completely. 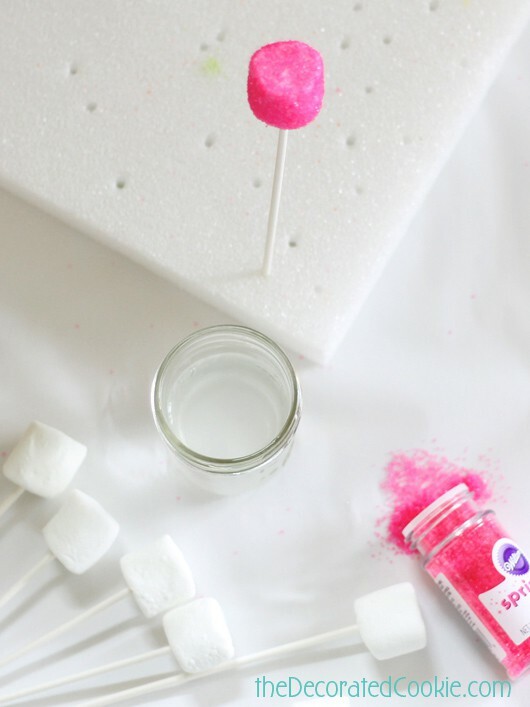 Prop the marshmallow in a Styrofoam block to dry. 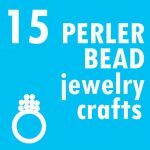 When ready to assemble, use a color printer to print out this printable on letter-size, white cardstock paper. Cut at the gray lines. Tape a flamingo head to a small piece of spaghetti and insert into the marshmallow. You can use any tape, by the way, you don’t need to use the fancy tape I have here. 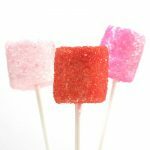 You can store the marshmallow pops in a sealed container until you are ready to insert the flamingo heads. 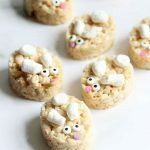 Because the sprinkles form a sort of shell around the marshmallow, you can display them at a party propped in a Styrofoam block for a couple hours uncovered and they will still stay fresh. 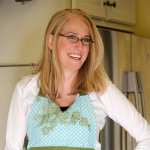 IMPORTANT: Make sure kids know the flamingo is not edible! Especially the littlest kids. Instead of toothpicks, I’m using spaghetti here just in case those little hands get a hold of these and forget to take out the flamingo heads. Use a color printer to print out the free printable on letter-size, white cardstock paper. Cut at the gray lines. Tape a flamingo head to a small piece of spaghetti about 2 inches long and insert into the marshmallow. 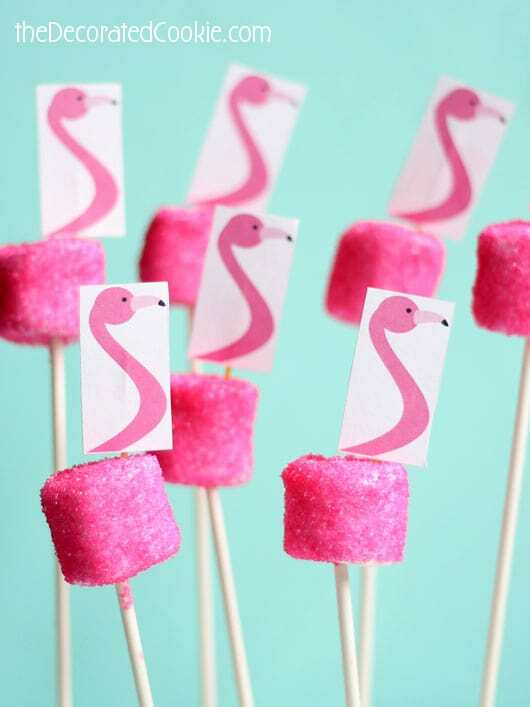 Store the marshmallow pops in a sealed container until you are ready to insert the flamingo heads. You can display them at a party propped in a Styrofoam block for a couple hours uncovered and they will still stay fresh. IMPORTANT: Make sure kids know the flamingo is not edible! Especially the littlest kids. Instead of toothpicks, I'm using spaghetti here just in case those little hands get a hold of these and forget to take out the flamingo heads.